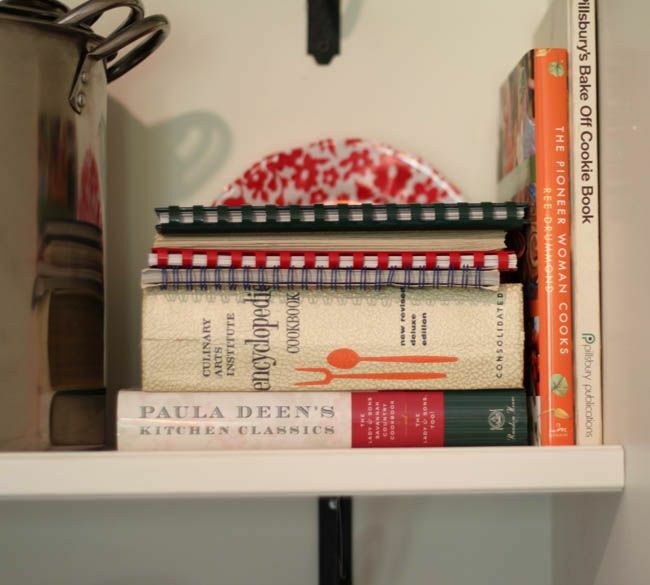 My cookbooks range from Paula Deen, to Pioneer Woman, to spiral bound church cookbooks (Christian women know how to cook! 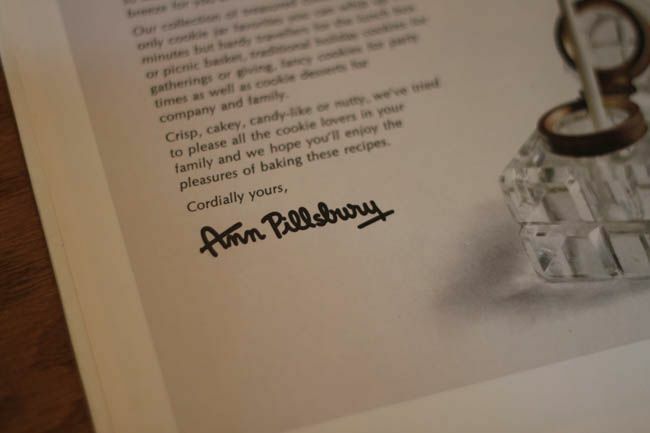 )to a Pillsbury bake off cookbook from 1967. That was 10 years before I was born. It got passed on to us by The Man's grandma and has her little handwritten notes next to some of the recipes. 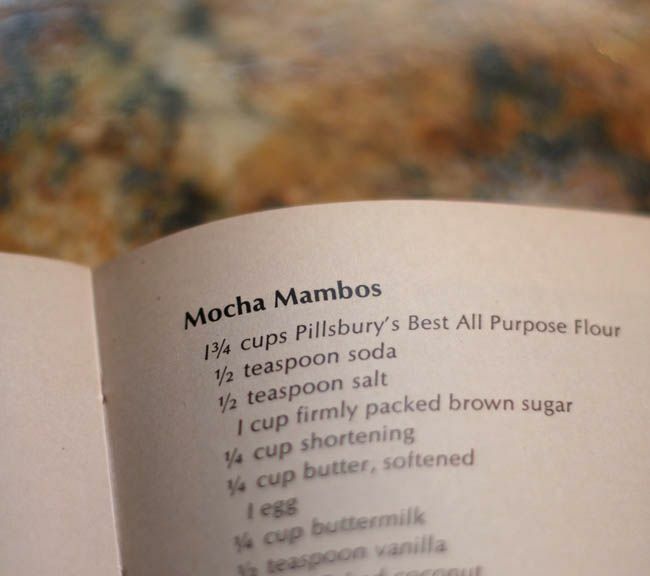 Apparently even back in 1967, housewives understood the deliciousness of mocha. And did you know that "Pillsbury" was a real lady?! I didn't! Every year at Christmas, my kids and I make numerous cookies, brownies and bars from this cookbook. I know I'm a little early, but I've got Christmas on the brain already. Or Fall. Oh, how I love Fall. Seriously, you are right. I have several church cookbooks -- and I am constantly referencing them. I also have one that was put together by my mother's family. It's a treasure. Recipes by my grandmother, who is no longer living, relatives, great-grandmas, and more. Love it. Have a blessed Sunday. And, sigh, I've got Fall on the brain as well. Cookbooks are one of my weaknesses. Just ask Mr. Men. Anyway you what they say...."the early bird catches the worm." My favorite blueberry muffin recipe comes from a Pillsbury Bake Off cookbook. It finally got lost after 10 plus moves in 15 years. I e-mailed them the name, the aprox date, etc and they sent me the recipe! 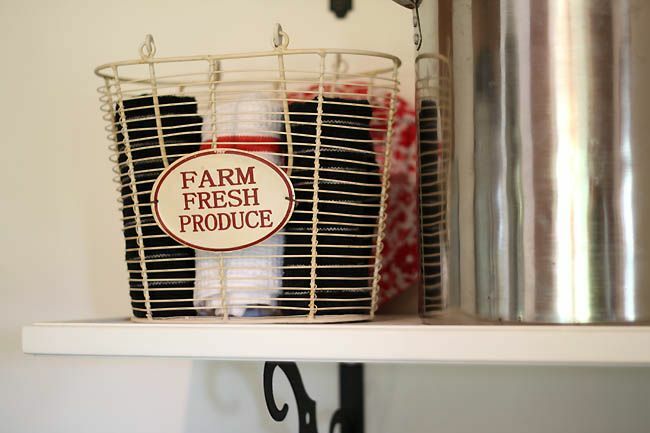 How fun that you have an older one that you use. May I suggest scanning the recipes that are your favorite and saving them on your computer:) just incase.